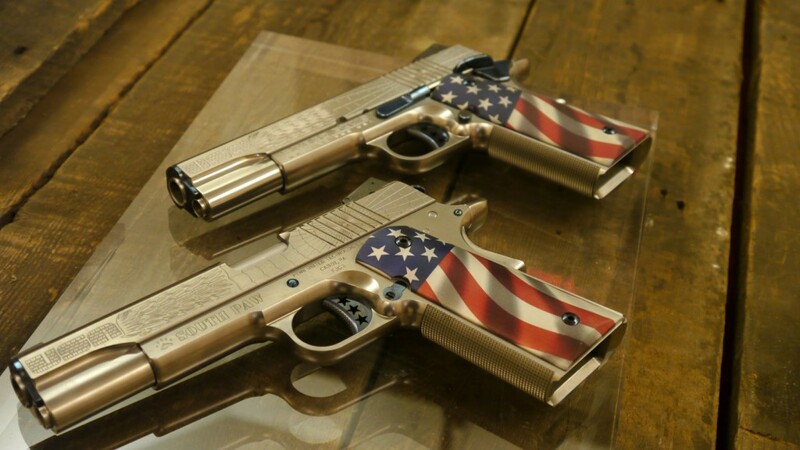 Created by special commission this unique set of custom mirror image pistols was built on the foundation of Cabot’s American Joe pistol, a representation of American Art and the 1911. 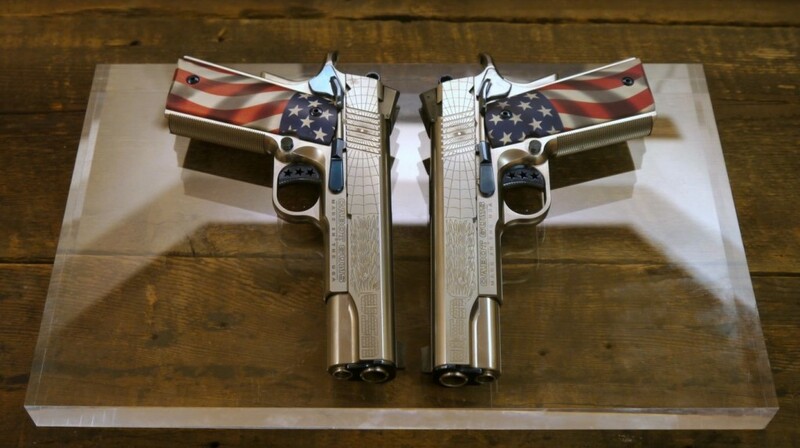 The American Joe FJG Pistol Set is comprised of both a right and true left-handed mirror image pistol. 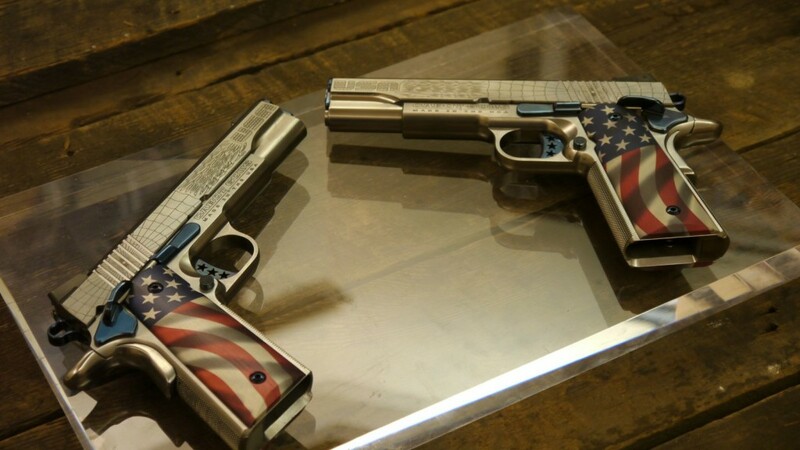 Unlike other manufacturers, we didn’t stop simply with mirrored control surfaces and a reversed ejection port. We engineer your pistols to be perfectly inverted true-copies of one other, going so far as to reverse the rifling in the left-handed model to guarantee smooth, true felt recoil and follow through directed towards the shooter’s palm. Custom details such as personalized serial numbers and nitred blue small parts form part of the detail on this set.